At Torcicoda, we take pride in our Florentine Steak. research and care in making the famous La Bistecca Fiorentina. We are passionate about food and have sourced the best cattle from all over the world. Diners can select from a variety of breeds including Fassona, Angus, Chianina, Scottona, Wagyu Style Kobe and Bison. The meat is stored and aged, for sometimes up to 80 days, in a special cellar to ensure that the steak is juicy and full of flavor. Steaks are prepared on a charcoal and wood grill so we can offer the most delicious and mouthwatering steak you will ever try. Steaks are served on an olive wood cutting board and garnished with sea salt and organic extra virgin olive oil from Tuscany. National: Piedmontese Fassona, Romagnola IGP, Marchigiana IGP. 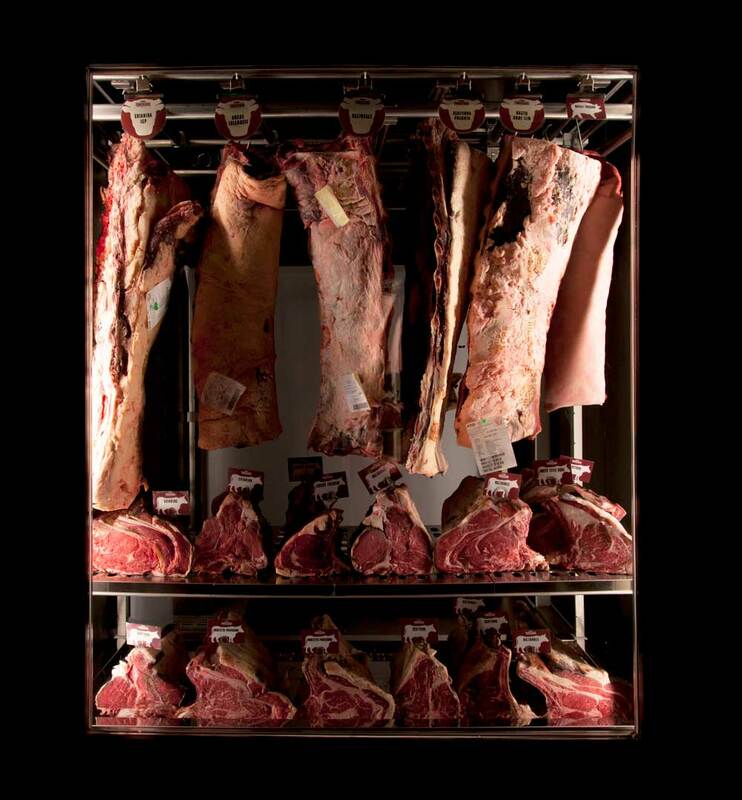 Irish Angus, Chianina IGP, Wagyu and Kobe, American Bison, Bavarian Scottona, Dry Aged Scottona, Dry Aged Black Oxen. Our butchers offer the most prized cut of the cow, “La lombata“! 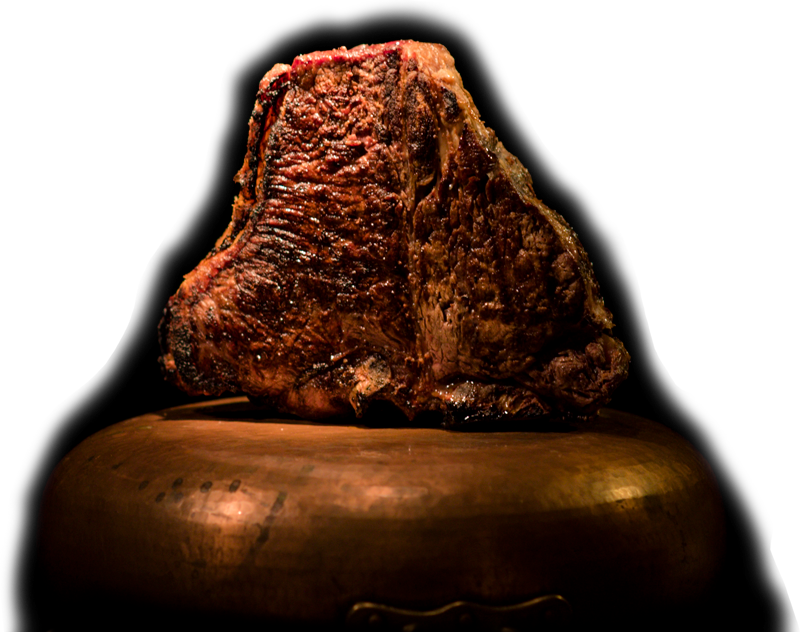 It can be portioned from 1.2Kg and is the muscle that covers the end of the rib cage, which can be cut with the bone and filet, “alla fiorentina“ or without the bone, “La costata”.It is a very tender part with plenty of fat that gives the meat lots of flavor. Our steaks are cooked on our wood and charcoal grill. Steaks are slightly salted and placed on the hot grill. Cooking times to get a 1.2kg rare steak are: 7 minutes per side, plus 7/8 minutes standing on the bone. This last step is essential to serve the steak warm inside.